We know when the time comes to service your Nissan vehicle that your personal time during the week is most valuable. 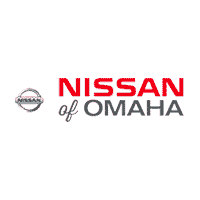 That’s why our team of certified Nissan technicians work six days a week for your convenience. Our technicians work at a sufficient rate while paying close attention to detail to your vehicle so that your car gets back to you in a timely manner and with fully updated functionality. When you bring your car into our service center, you are getting more than just a routine service you would anywhere else. Our service team consists of a handful of Master technicians and we hold the highest CSI (Customer Satisfaction Index) in the Omaha area. You can rest assured that your vehicle is in trustworthy hands because our experienced technicians treat your car as if it was one of their own. It is our mission to maintain the value and quality of your car for years to come and we record and monitor your vehicle’s well-being so you always have access to an updated report. You Won’t Mind the Wait! 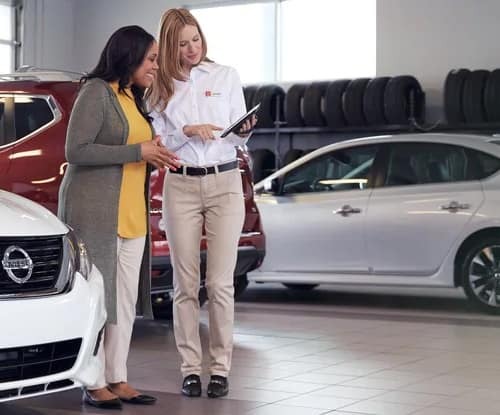 It’s rare that you should wait extended periods of time at our service center, and even though we work rapidly to send you on your way, we offer plenty of amenities to cater to your time spent at our dealership. Our service center includes a workout facility if you feel like burning a few calories while you wait, separate lounge areas for adults and children equipped with televisions, DVD players, and for your convenience, gourmet coffee. You will look forward to bringing your car in for an oil change with plenty of entertainment to keep you occupied. We offer our customers great quality service for their vehicles as well as a fantastic waiting lounge. When your car is ready for an oil change, tire rotation, or brake replacement, make an appointment online by filling out your information and car maintenance requirements or call (866) 956-9457. Or come visit us in person at 17410 Burt Street, Omaha, NE 68118. Our team looks forward to serving you!